I began my career as a Programmer Analyst and Corporate Accountant with Pennzoil Company, working for them from 1980-1983. 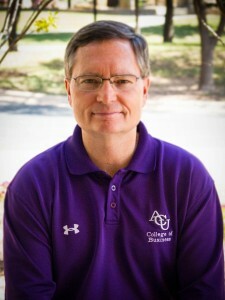 I spent a year as an Accounting Instructor for ACU from 1984-1985, moving from ACU to the University of Florida as a Research and Teaching Assistant from 1986-1990. I then began my work in academia, serving as an Assistant Professor at Florida State University from 1990-1997, as an Associate Professor at Chapman University from 1997-2000, and then moving to ACU where I began in 2000 as an Associate Professor. I now serve as the Chair of the Department of Accounting and Finance and am a Professor of Accounting. What do you teach at ACU? I teach Intermediate Accounting II and Advanced Accounting. What committees/other duties do you have at ACU aside from teaching? I am the Chair of the Accounting and Finance Department and the Director of the Master of Accountancy Program. What drew you to teaching? Why did you want to work with students? In 1984 and 1985 I was working on a master’s degree in Bible at ACU. During that time, I was asked to teach one sophomore level accounting course per semester. I was surprised to learn how much I enjoyed that experience and it caused me to want to get a Ph.D. in accounting so I could continue to teach accounting at the university level. I think the most rewarding aspect of teaching is that I get to see students grow up and mature over time. Have you ever given up any big opportunities to keep working with students? No, I have never considered doing anything else in the last 25 years. Outside of teaching, what passions and hobbies do you have? I am a graduate of the University of Florida, and I really enjoy watching Florida sporting events on TV. I also like to travel. In my younger days, I was an avid runner and I ran three marathons and a number of half marathons. I still enjoy exercising, but injuries have caused me to stop running. I was invited to be a panelist at the Bentley University Global Business Ethics Symposium in Madrid, Spain in 2007. I also feel a sense of accomplishment every time one of my research papers is published. My wife and I deliver Meals on Wheels on Thursdays. We have had the same route for many years. I can’t think of a specific individual who I would consider my role model. However, I have great respect for anyone who takes pride in their work and lives their life with integrity. I have always had great respect for Dr. John Willis. When I was in his classes, I could tell how much he cared for his students. His mastery of the subject matter always impressed me also. I mentioned this earlier, but I think most of my current students would be surprised to know that I ran the Chicago (2002), Marine Corps (2003), and the New York City (2004) marathons. Sadly, age and injuries have now forced me to exercise on an elliptical while watching Netflix (I especially like BBC shows) on my iPad. What would you really want students and alums to know about you? I want students and alums to know how much I enjoy teaching at ACU. I believe in Christian education and in our mission in COBA. I received my bachelors in Public Relations and Advertising from Hardin-Simmons University and I will complete my masters in Higher Education from ACU in 2016. My first job was in PR for the Make-A-Wish Foundation. This was an amazing opportunity and had a great impact on my life. I learned so much from the wish kids and will always be grateful for that opportunity. Following that role, I began working in Higher Education in 2004. I have worked in several areas of Higher Ed at two universities, including campus visits, financial aid, admissions, student life, retention, recruiting, event coordination, and student services. What do you do at ACU? 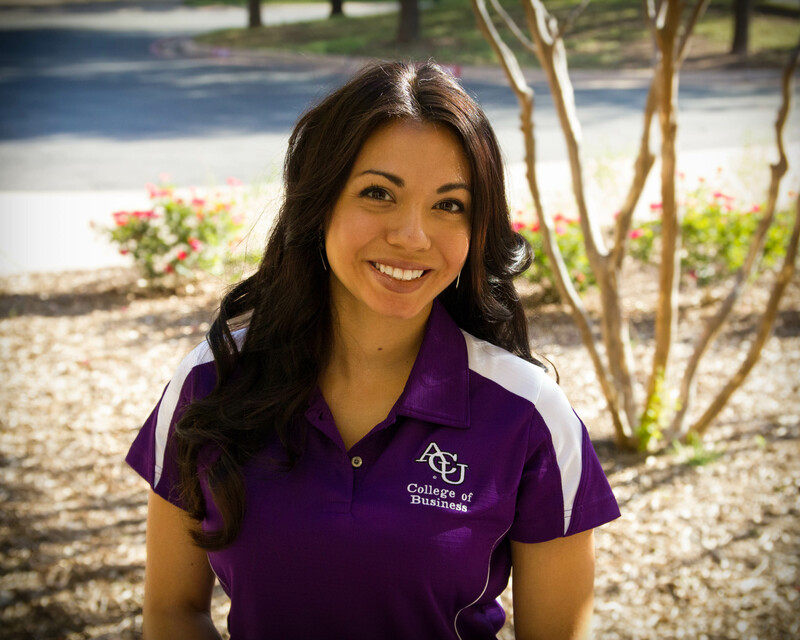 I manage the recruiting process for SITC and assist in bringing new students to ACU. Additionally, I manage marketing communication to current and prospective students. I also play a role in other areas in SITC, including coordination of special events, SITC news, and staff contact for Women in Tech. I love working with students! It is so amazing to watch students transition from their first visit to campus through to their graduation. I play a small role in their ACU experience and I love being able to share in this transformational process. I enjoy being able to encourage and cheer on students as they take on new challenges, navigate their demanding schedules, and ultimately, interview for jobs. We are able to witness the process of development from the front row. While it is sometimes painful, there is nothing quite like sharing in the moments when they realize that they are capable of more than they imagined. No. I’m right where I want to be. Outside of work, what passions and hobbies do you have? So many things. 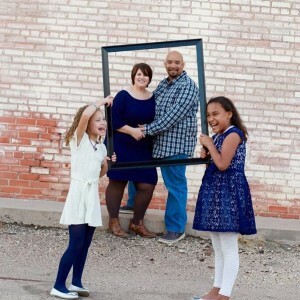 First and foremost, I have an amazing husband and two precious daughters that I love very much. Our girls keep us extremely busy and I wouldn’t trade it for anything. I also love baking and have a sugar cookie business. This hobby-turned-business started out by making cookies for my daughters’ class parties. I really love the creative and artistic outlet! At this juncture, completing my masters will be a huge accomplishment. I have enjoyed the entire process and love how it has cultivated a passion for learning. I am on the parent council at Alliance for Women and Children. I have a strong network of men and women in my life, who have taught me a great deal about living life. They have served as spiritual, professional, and personal mentors. They have guided me in times of uncertainty and doubt, as well as times of joy and success. I have learned what it means to love others, how to be a better parent, how to walk through challenges and failures, and how to live a life worthy of the calling placed on my life. Several professors come to mind, but one of the most inspirational was Dr. Susan Piggott. She was one of my Bible profs and I had her for Theological Research and Writing (I was a Bible major at one point). That course was easily one of the most challenging courses I had in undergrad. Dr. Piggott had a reputation of being a pretty tough teacher. When it came time for me to take her course, I experienced this first hand. However, I learned so much from her about questioning preconceived ideas and learning to think on my own. Some of her ideas conflicted with mine, allowing me to examine why I believed what I believed. This experience strengthened my faith and propelled my spiritual development. Power over time, hands down. Primarily to slow down time. Obviously, this would be helpful for accomplishing a lot. However, I think it would be more useful for the ability to slow down and cherish the priceless moments that are over too quickly. I love Christmas and have a sizable collection of Christmas paraphernalia, which nearly fills up our entire storage shed, seven Christmas trees, and over 700 Christmas songs in my iTunes library. It’s absolutely my favorite time of the year. I have spent 11 years in higher education working with students in some facet. In this time, I have learned that there is so much more to college than awarding degrees. I view this as a calling. I have the opportunity to impact students in a measurable way, by simply being here. I am committed to the holistic development of students as they explore their identity in relation to others and to God. I will not have all the answers, but I am always available to listen, encourage, and pray for students. B.B.A. in Marketing from ACU. M.B.A. in Management from Golden Gate University in San Francisco. The company I worked for was based in the Bay Area. When I moved from the field office in Denver to the corporate headquarters, the company paid for me to get my M.B.A. This was very convenient. Golden Gate University is located in downtown San Francisco, but their East Bay campus was located where the company I worked for, Triad’s Systems Corporation, was based in Livermore, CA. Triad paid for all my tuition and books. I went to courses at night, while working full-time. Originally I worked for Triad Systems Corporation in customer service, then sales, and later became a Regional Manager for our Education Services. I had a team of 12 people, working in 10 cities. 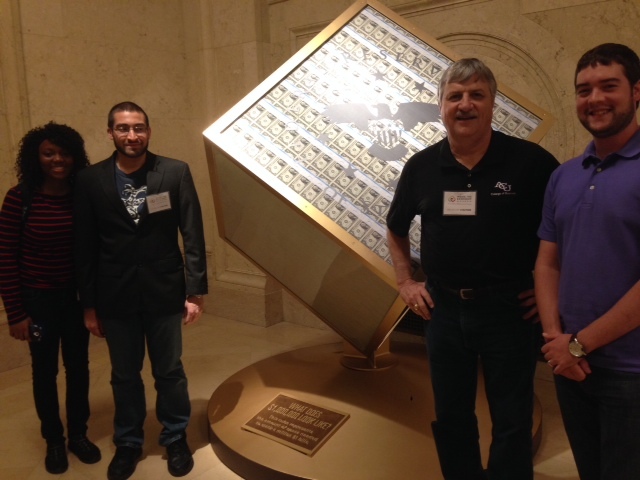 This team took care of the system configuration and training for all of our customers. Eventually we moved to the headquarters in California. I held several positions over the years, including Marketing Analyst (putting together our service offerings), Sales Trainer, and Sales Development Manager (responsible for training our training team for industry training, system training, sales training, and supporting regional manager hiring and coaching programs). 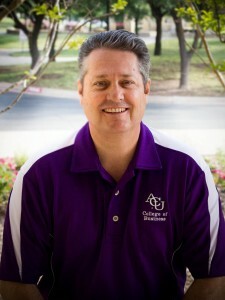 At ACU, I worked as the Chief Enrollment Officer for 11 years and then moved to the Career Center. 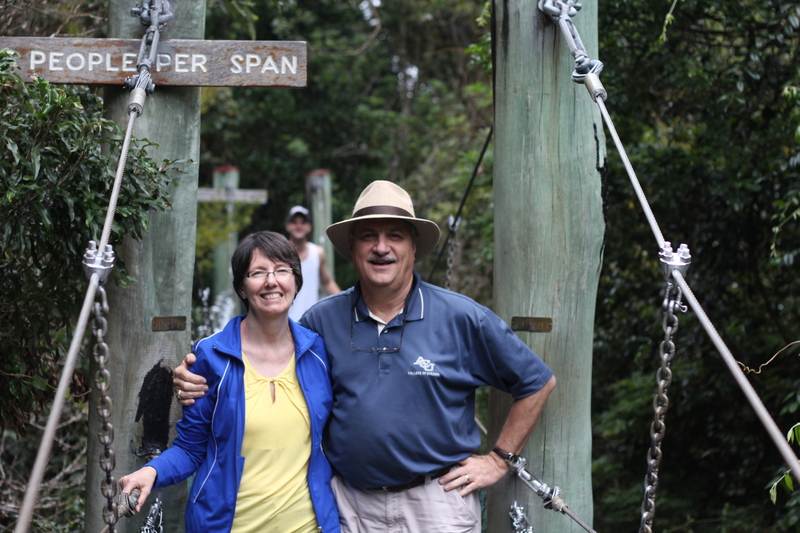 I have worked in COBA for the last 6 years as the Assistant Dean. First of all, I work with the Connections team to ensure we have a good advising process and career development program to come along side the academic coursework required for each major. 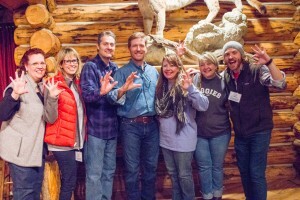 A key tie-in with the Career Development work is our partnership with ACU’s University Relations Managers, who live in Fort Worth, Dallas, Austin, San Antonio, and Houston. These managers are critical to our efforts to help students connect to starting career opportunities. 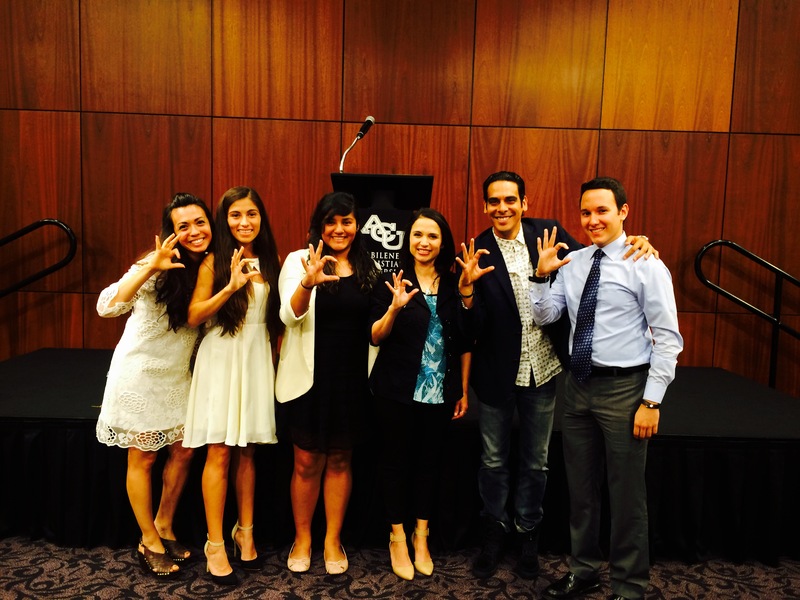 ACU’s alumni provide us with scholarship dollars to help improve the affordability of the COBA experience. This is another area of work I help to coordinate. As one of the co-founders of Leadership Summit, I serve as the leader of our management team to ensure our enrollment, satisfaction, budget and connection goals are achieved through this program. Rick Lytle and I met in Denver. 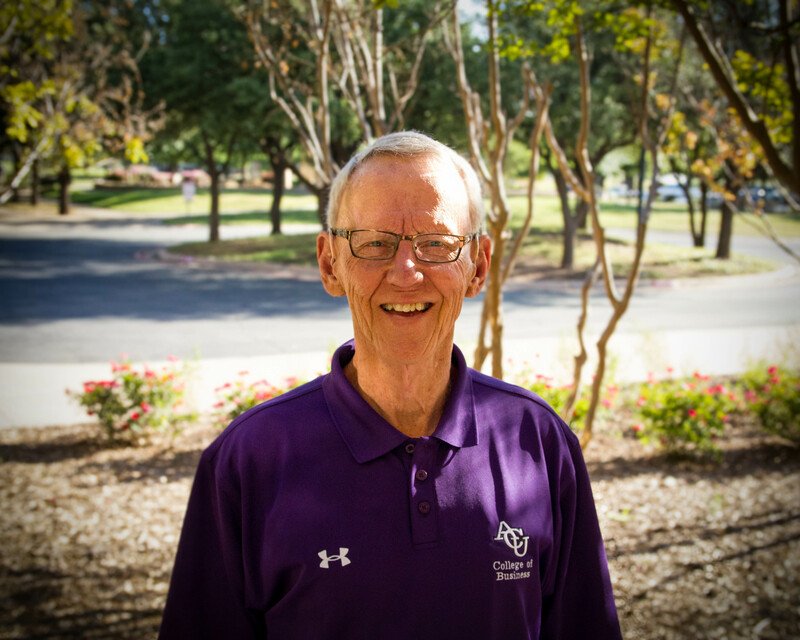 After earning my master’s degree, he encouraged me to consider working for ACU. Rick’s statement of, “Not everyone goes to church but most everyone goes to work”, really resonates with me. It’s challenging to be a Christian in the workplace. It’s difficult to be competitive and honorable. It’s important for our graduates to bring hope to their workplace. I wanted to help equip students for this challenge. It’s great to see students understand how they can prepare to make a valuable contribution to an organization, both in terms of their business ability and their character. It’s exciting to see where they will have a place to live out the mission. A job search is difficult, it takes a lot of effort to put yourself out there in an effective manner. It can be hard on your psyche. This is where my coaching comes in. I like helping students face the challenge and win. Mountains, mountains and more mountains. I like to snow ski and hike whenever I can. 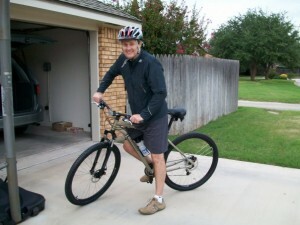 Plus the mountain biking at Buck Creek trails here in Abilene is a lot of fun. A few years ago I bought a shotgun and joined the Sporting Clays Club here in Abilene. COBA students have tried to help me improve my shooting. It’s a work in progress. The students tend to shoot 70 – 80% out there, but I’m usually in the 40% range. 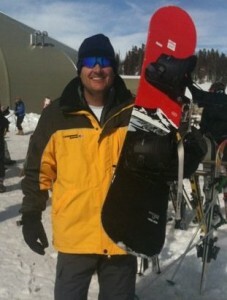 I remember working for a client in Steamboat Springs, CO. After a few days it was time to return to Denver. I was on a “puddle jumper” – we called it Rocky Mountain Scareways. As I was sitting on the plane watching them plow the runway as the snow kept coming down and the plane received multiple de-icings, I really questioned my career choice. Currently I am commander of the armies of the north communion team at Highland CoC, (northside of the building) at second service. Over the years I have been very involved with our church Teaching class, or running the Habitat for Humanity Building project or Bus Ministry. Also, I am very passionate about supporting missions and really appreciate the work of World Vision and Compassion International. In graduate school, I had an economics professor who BELIEVED all problems are pricing problems. When the price goes high enough, people will solve the problem. I could tell his academic discipline was his belief. We disagreed, but he really made me think. My initial thought was to say that I really wish I could fly. But this is a selfish desire. What I really think would be most useful would be to be able to listen to people like Jesus listened to the women at the well. I wish I could tune into someone’s spirit. I wanted to be an artist. But being an art major (courses are double blocked) and being a baseball player did not coincide well. So I switched to accounting. I really swung the pendulum on that decision. Ultimately I landed on marketing. This helps me be patient with our students. It can take a while to find your sweet spot. Currently teach Finance courses: Financial Theory and Practice, Portfolio Management, and STAR, our student-managed fund. While at ACU, I have taught 16 different courses. In the past, I served as Chair of the Management Sciences for 5 years and as Associate Dean for 10 years. Currently, I am on the Academic Committee in COBA and the Disciplinary Review Committee for the university. I left a really interesting job in industry to come to ACU. I would not have left that job for a teaching position at any other university. I thought that I could contribute to students by teaching them what they need to know to be successful in industry. I have developed so many great friendships with students over my time at ACU. I enjoy trying to make difficult concepts understandable for all students. I enjoy helping students build self-confidence. As I said earlier, I gave up a really interesting job to come be a professor. Financially, that job was much more rewarding, but I would not trade that for all of the great friends that I have made with students. I really like to go outside and play: golf, tennis, running, biking. I also enjoy woodworking. 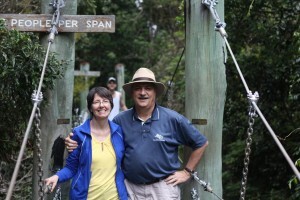 We really enjoy travel, having visited over 25 foreign countries. What is a good, early story about your teaching? 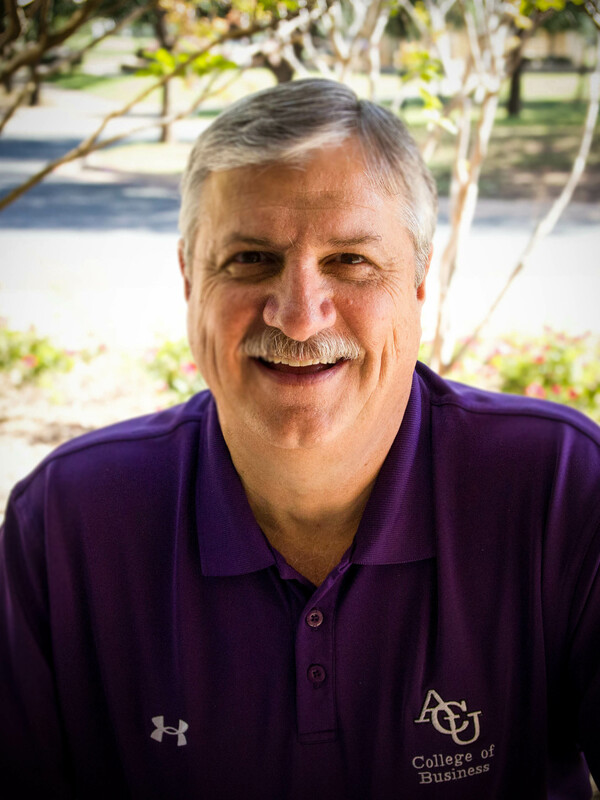 My first semester at ACU had me scheduled to teach Financial Management and Statistics – courses that I was well-prepared to teach. On the second day of class, I was asked to take a class in Macro Economics, as Professor Brister was asked to serve on a university committee and needed to be released from the teaching assignment. So, I played catch up all semester in that class. While in industry, I provided the financial analysis to support investments totaling billions of dollars all over the world. While doing so, I tried to always have Christ as the center of my life and to conduct my business in a manner worthy of a child of God. In the past, I have served for long period on the boards of Herald of Truth and Faithworks of Abilene. For most of the past 35 years, I have been an elder in the church. My dad. He was the same yesterday, today and tomorrow. He never met a stranger and treated all people with great respect. 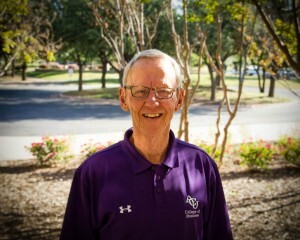 Sam McReynolds in the Mathematics Department at ACU. He was always very well prepared and expected excellence from his students. Bring peace to the world. To replace hatred with love. My hair is actually blond. That I really love them and want them to make good choices in life. Every year, Dr. Malcolm Coco holds a business and dining etiquette dinner for students in his MGMT 373: Employee Planning, Recruitment & Selection class. This year, he held the dinner on Tuesday, Nov. 17th. Throughout the course, students are taught the importance during the recruitment, interviewing, and selection process for filling jobs, and that personal appearance, non-verbal communication, and dining and business etiquette are very important to employers. Any one of these can disqualify you as a job candidate or make you a winner. After class instruction on all of these subjects along with a research assignment, the students have the opportunity to actually practice what they have learned with their classmates during a formal dinner and simulated meeting environment. The dinner is the culmination of Dr. Coco’s planning, recruitment, and selection class. Students receive formal invitations and must RSVP to attend the dinner. Jennifer Ellison, ACU’s Director of University Events, partners with Dr. Coco in classroom instruction and constructive criticism during the event to give feedback and instruction to the students. A very elegant, five course meal is served and the students practice their dining manners and protocol. This has always been a highlight of the course. Unfortunately, in society today, proper manners and dining etiquette has become a lost art, but not so with hiring managers. Good manners and dining decorum can be the tie breaker during the interview process and cinch the job you really want. Bachelor’s degree from ACU in 1976 (first graduating class of ACU, formerly ACC). My work background includes Management and Leadership experiences in “Manufacturing Operations” and “Human Resources”. Companies I worked for include; General Tire & Rubber Co., Avery Dennison, and Cardinal Health. I taught one year in Lubbock ISD – way back in the 70’s. Prior to coming to ACU, I also taught at Texas State University in their graduate HR program. I teach management class (primarily MGMT 330) and I also teach HR classes (MGMT 447 & MGMT 337). Occasionally I teach in the graduate OD program. This year I am the Faculty Senate Chair which means I get the opportunity to participate on many committees. Some of these include; the Provost’s Cabinet, Faculty Senate, Benefits Committee, Pricing Team, and Debt Reduction Team. Being the Faculty Senate Chair is a great opportunity to provide service for the university and also work closely with many people across campus. 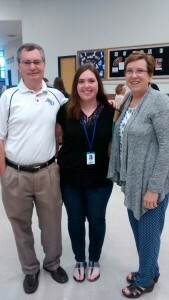 I was blessed to have excellent teachers in my past that inspired me to love learning and helping others succeed. I have always wanted to teach and being in the business field provided me an excellent opportunity to expand my learning and also the foundation for advancing my education to reach my goal of teaching. My biggest enjoyment in my job is mentoring and getting to know my students. I love to see them succeed and do great things. I strongly believe that every student can (and should) succeed. I’m amazed at the many things our students accomplish. I did change careers and with that there was a financial impact, but I believe that the most important part of a person’s career is not how much money they make – it is much more about the positive difference they can make in the relationships and lives of those around them. I also feel that I have gained much more as a college professor than I ever gave up. 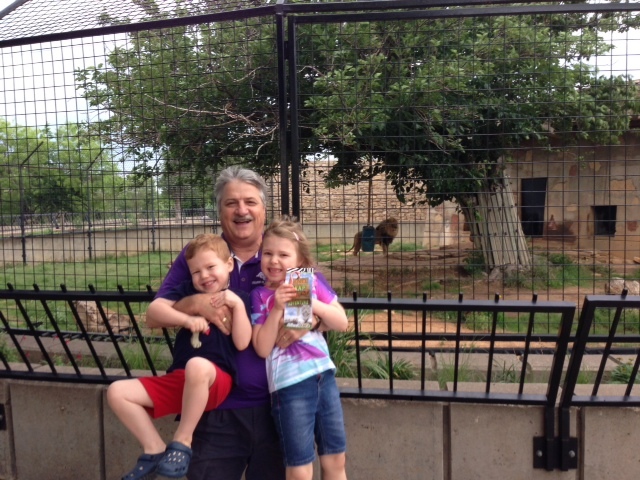 I have been blessed to experience the “Grandparenting” stage of life and it is wonderful. I have 5 grandchildren and they are so much fun. Besides the many moments when your students encourage and touch your life in a significant way I would say there have been several funny/interesting moments. One that I remember well was the time I gave a test and offered the students the opportunity to take the exam in a very different way. I told them they had the option to take the exam and purposefully try and miss every answer and I would give them a “100” on the exam – of course they had to miss every answer – if they even got one right – then they would only get the score of those they got right. You must know there were several True/False and Multiple Choice questions on the exam. There was also some short answer. The outcome of this crazy moment turned out to be a funny memory (at least now it is funny). I was also able to get two published articles from this event. It has to be my Ph.D. later in life and the challenge of completing this goal while still working and raising a family. My wife deserves most of the credit! 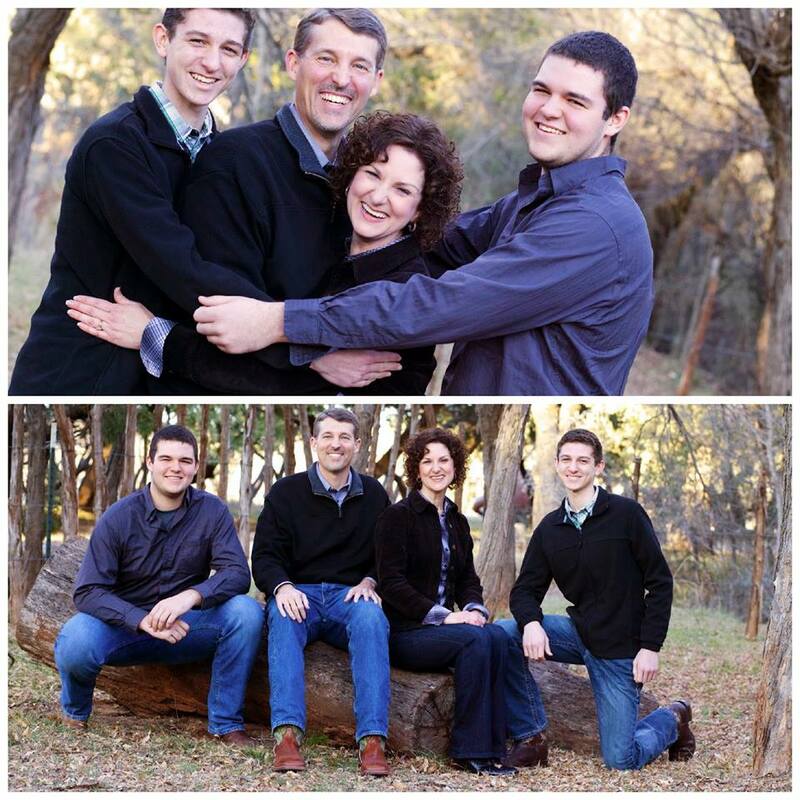 In 2014 I became an Elder at the Hillcrest church of Christ. I have learned the importance of “service” and “encouragement” at a whole different level. I also currently serve on the Big Country Society for Human Resources executive board (BCSHRM). This is a difficult question and there are several who come to mind. 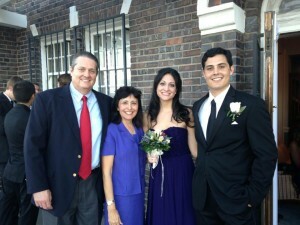 And the most important role model is my wife, Jackie. She is such a good Christian example in so many ways and it has been wonderful to see her influence in our children and the encouragement she continually gives me. As noted above, Jerry Drennan. He was always encouraging and also pushed me to do my best. I enjoyed his classes and teaching style. I remember wanting to teach just like he did. This is always an interesting question and my first thought would be to “fly”. Hard to beat this one. If I had a second choice, it would be to speak and read every language (this would be amazing and provide an outstanding learning opportunity). I found my twin sister when I was 50 years old. I love what I do! It is such a wonderful career and the blessings never cease. My first career enjoyment is mentoring students and my second is teaching. I attended Hardin Simmons University and majored in Mass Media and minored in Spanish. I am currently finishing my masters in higher education with a certification in Conflict Resolution & Mediation. I will graduate December 2015! I started my career with Hendrick Medical Center as their marketing coordinator. I worked for the physicians that were not employed with the hospital and were an independent branch of Hendrick called Hendrick Provider Network. My main role was to travel to the rural communities outside of Abilene and market our services of internal medicine, endocrinology, sleep therapy, and hand therapy/reconstruction to the physicians that were in our network. I worked with HMC marketing for several years and assisted with the development of the MedSpa at Hendrick where I served as the primary patient consultant as well as their marketing coordinator. I have worked in several departments at Hendrick Medical Center and I still teach classes at Hendrick Health Club that include Body Jam and Attack. Little known fact: I was also certified as a Stott Pilates instructor! What do you do at COBA? 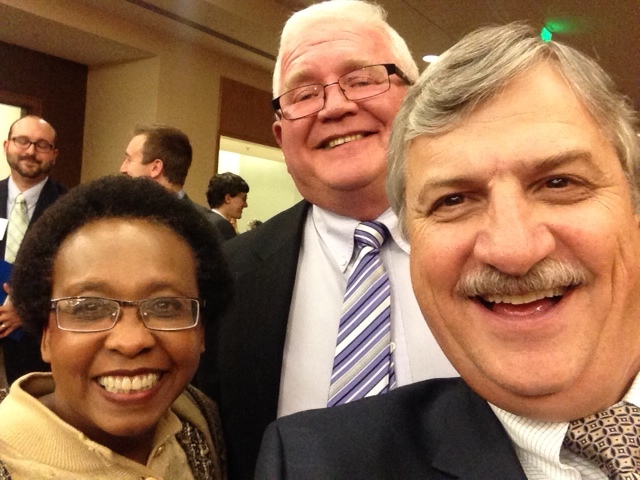 I currently serve as the Career Development Advisor for COBA and SITC. Coming from the field of marketing with an emphasis in health care, I was ready to challenge myself with a change. Originally, I had no ties to ACU but once I went through the interview process I fell in love with the community. My gut told me I had made the right choice. I wanted to work with students because I love the atmosphere of learning and academics. The best part about working with students is building relationships with them. Student development through a holistic approach is best described as social learning theory and the focus on how the individual acquires new ideas, behaviors, and new cognitive content. James Fowler’s first three stages of Faith Development: conventional stage, individual reflection, and faith developments can adhere to the experience and theory of students questioning their beliefs and values. These steps were integrated into theory to help illustrate the foundation of questioning a student’s transition into individual self-awareness. Working with students as they grow and develop is such a unique experience that I am so blessed to be a part of. 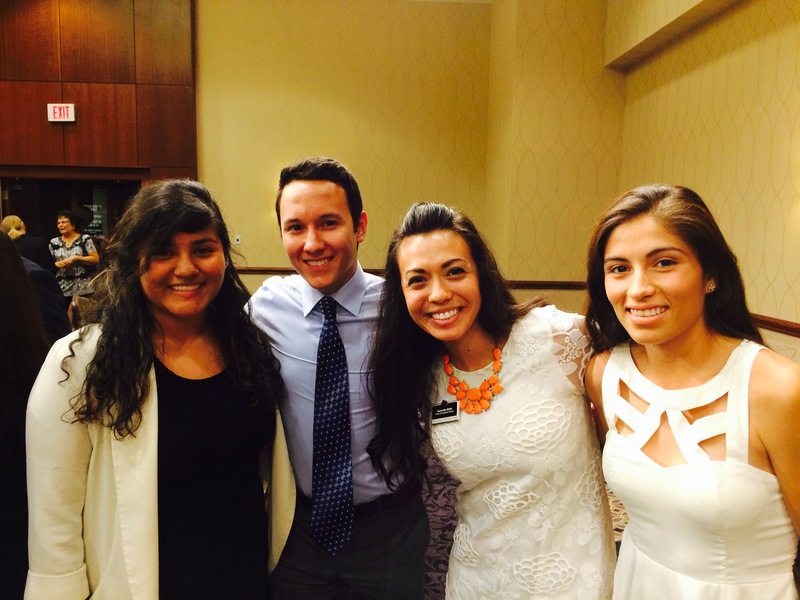 Samantha hosted COBA students at the Hispanic Unidos banquet held at ACU last month. You can never have enough hobbies! I may not be a master at any of them but I will always try something new. Currently, I have taken up boxing lessons. I have a trainer and we work on sparring and kick boxing. I also enjoy painting when I have the time. I started playing the guitar two years ago….it has been a slow process. I love to cook but I am a healthy eater so Paleo is right up my alley. I love to run and I have completed two half-marathons. I love to be outside; camping, hiking, caving and rock climbing. An annual tradition I have is to attend ACL… here I come Billy Idol! I am passionate about living life with family and great friends; Carpe Diem! I am a member of the Abilene Chamber of Commerce Red Coats. I also am a member of the Young Professionals of Abilene through the Chamber of Commerce. I am an annual volunteer for Cancer Service’s Fashions for a Cure style show. I also volunteer at the Abilene Food Bank and Global Samaritan. I occasionally volunteer at the animal shelter. To know every language in the world; I want to be like Nicholas Cage in the City of Angels. The smell of cucumbers and watermelon make me nauseated. COBA seeks to provide opportunities for the students and community to hear from Christian leaders in the business world through our COBA Distinguished Speaker Series. In the past few years, we’ve featured Bob McDonald, Mike Duke, and Matt Rose. 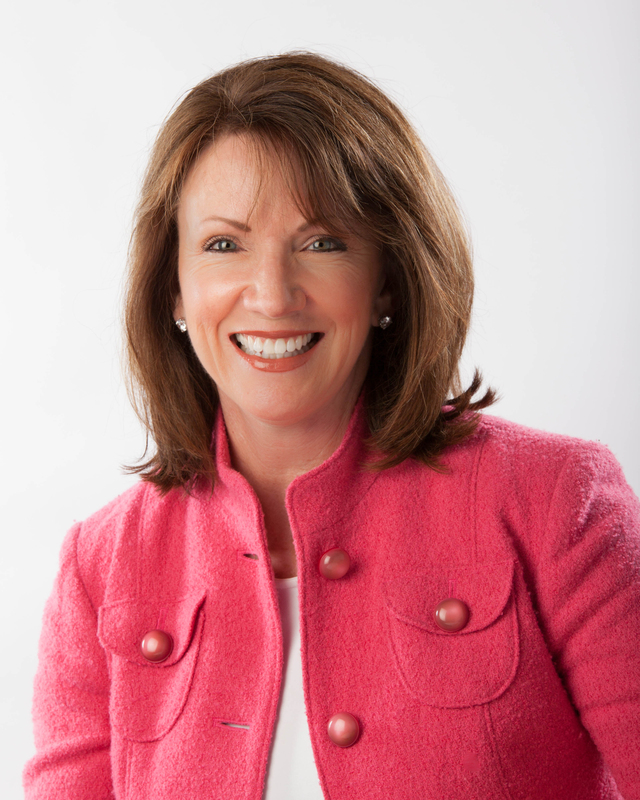 This October, we’re excited to host Lisa Rose, founder and president of the 501(c)(3) projectHandUp, as COBA’s fall 2015 Distinguished Speaker. Lisa’s mission is to provide venues where people can find their purpose and learn to fulfill it. 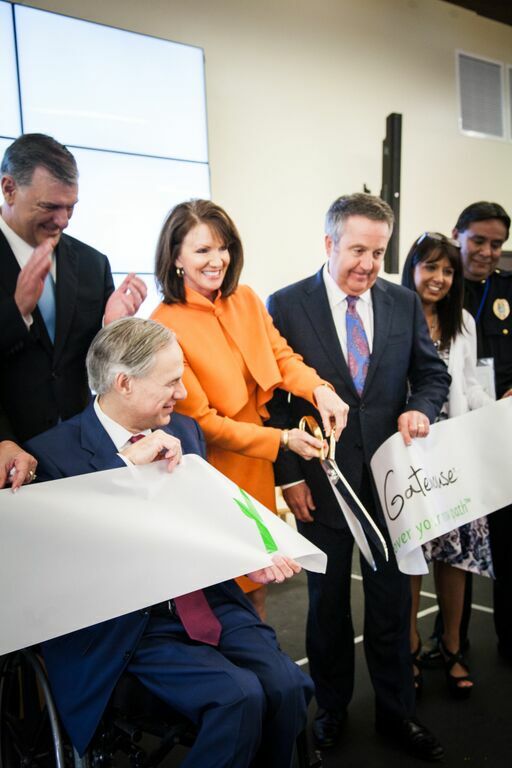 After growing up in Ft. Worth, Texas, and receiving a degree in Marketing from Texas Tech University, her time in corporate life was in fast-food marketing. She has spent the last 20 years in church women’s ministry leading and equipping women through classes, studies and events. She has served on GRACE’s Advisory Council and at the Dallas County Jail. 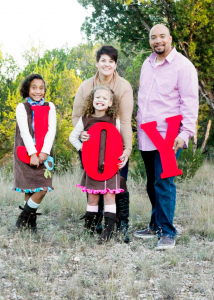 Lisa currently serves as board member for the Meadows Mental Health Policy Institute, Performing Arts Fort Worth, United Way Homelessness Allocations Committee and was the 2015 Golden Deeds Outstanding Citizen of the Year. 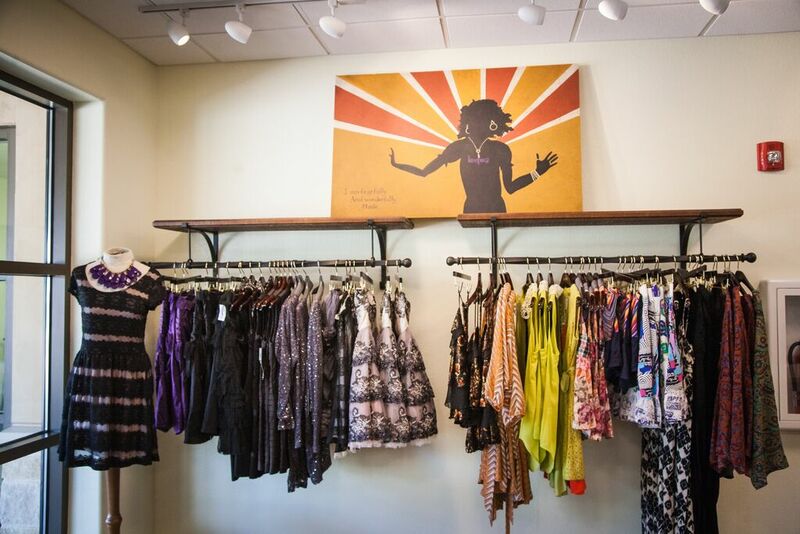 She founded First Friday, an event for women, in 2008, and is now committed to the lifelong project of establishing The Gatehouse as a community where women and children in crisis participate in a place and program for permanent change. Lisa Rose is also the founder and Board President of The Gatehouse at Grapevine. 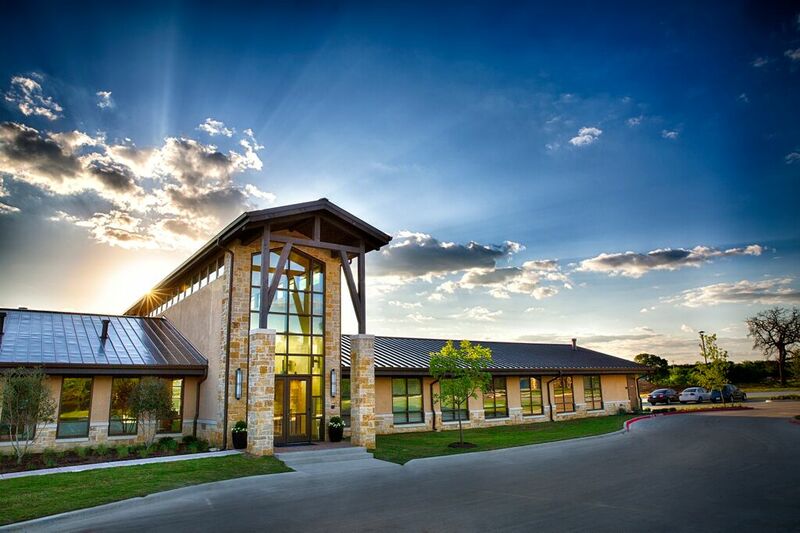 The Gatehouse is a $28 million, 61-acre supportive living community designed for women in crisis and their children. The Gatehouse website explains that the community will house up to 96 families and includes a community/conference center, in-neighborhood counseling centers, Keeps Boutique, Hope Chapel, general store, walking trails and commercial space. 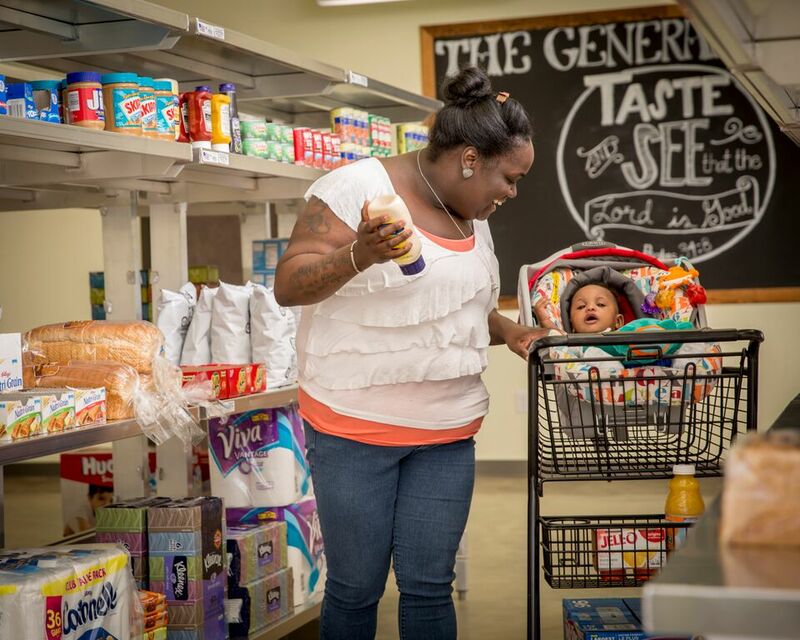 This community, which allows members to stay up to 2½ years depending on their individually tailored program, provides safe refuge and creates the environment for women and children in crisis to walk the path toward permanent change. The idea for The Gatehouse sprung up in part from the First Friday initiative which began in 2008, when Lisa and a group of women began a free, once-a-month experience to give women a practical hand up for life’s challenges. The First Friday experience transformed into the nonprofit projectHandUp, through which the founding leaders could create a way to offer women a hand up that would lead to permanent, positive change: a place where women could be healed and restored as they end needless cycles of poverty, abuse and repetitive prison terms. At that same time, Deborah Lyons, Executive Director at The Gatehouse in Grapevine, had envisioned a fully integrated, non-government funded supportive community for women in crisis. 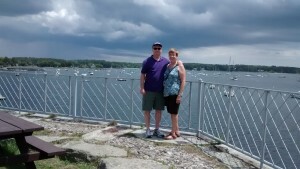 God brought the two women together, and Deborah joined the journey with projectHandUp. Deborah also is the author of the faith-based Independent Life Program used at The Gatehouse. In August 2012, projectHandUp purchased 61 acres outside DFW Airport with unanimous Grapevine City Council approval, and the stepping stones were laid for The Gatehouse, a supportive living community where women and their children in crisis can discover a new path for permanent change. The Gatehouse opened in March of 2015. Join us on October 29th for the Distinguished Speaker Series luncheon beginning at 11:45 am in the Hunter Welcome Center. COBA is providing the opportunity for 100 ACU students to attend the event for free by registering here. General Admission tickets are $20 and may be purchased at this link. If you have questions about the event, please email M.C. Jennings at marycolleen.jennings@acu.edu. Read more about The Gatehouse at this link from the Fort Worth Star Telegram. View the grand opening of The Gatehouse by clicking here. *Information about The Gatehouse provided in this blog comes directly from The Gatehouse website. Visit their website by clicking this link. Purchase tickets to the event by clicking on this link. I majored in accounting at ACU, completed an MBA at UT with an emphasis in change management, and received my PhD in Information Systems from UT. Accounting was a great way to learn about business, the MBA broadened that experience and my interest in change management created a springboard into Information Systems. My audit experience at Arthur Andersen was a fantastic way to learn about business. I spent a lot of time in nonprofit work. I worked for a brokerage firm, worked in real estate, for a tech start-up – which was actually one of the first internet providers, and on the consolidated financial statements for the U.S. government. It was a great way to learn about a lot of different organizations. My experience in consulting allowed me to dive deeper into how organizations use both financial aspect and the systems aspect to execute tasks. I witnessed many interesting reactions to how technology is used. This is how I became interested in technology. It is just a piece of software, but people have different reactions to what it should do and how it should be used. This experience raised some interesting questions for me, ultimately leading me to pursue graduate work. I teach Systems Analysis and Design, which is a smaller project-based course focused on an organizational problem, where technology is part of the solution. I also teach Management Information Systems, which focuses on what business students need to know about technology and how information technology is used within the organization. I am a sponsor of the ACU chapter of the Association of Information Systems, I am an advisory member of the student-run software company, Wildcat Software, and Director of the School of Information Technology & Computing, which is an academic unit within the College of Business Administration with majors in computer science, digital entertainment technology, information systems, and information technology. Most recently, I have been named Associate Dean for Graduate Business and charged with executing the launch of COBA’s new online MBA program. What drew you to teaching? I had a set of mentors that helped me begin thinking about academia not long after I graduated from college. Jack Griggs, former dean of COBA and one of my professors, would call once a year and ask about what I was going to do with my life. He encouraged me to think about being a professor. Also, when I was in Maryland, several of the folks that I met in church were professors. The interactions with them encouraged me to think about the benefits of being a professor, including teaching and research. 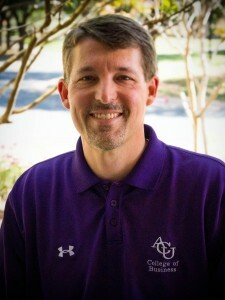 I am at ACU because I want to know students. During my first semester at ACU, I spent more time with students than during the five years I spent at Indiana. It wasn’t because I am a different person here, it was because the expectation was different. Students did not expect to to know their faculty and the reverse is true as well. ACU encourages those type of relationships and I enjoy spending time with students. I appreciate the opportunities to be involved in student organizations, go to chapel or lunch with students, have a chance to learn about what is important to them and be able to speak into their life in small ways. I spend a lot of time going to sports and other events for my sons. 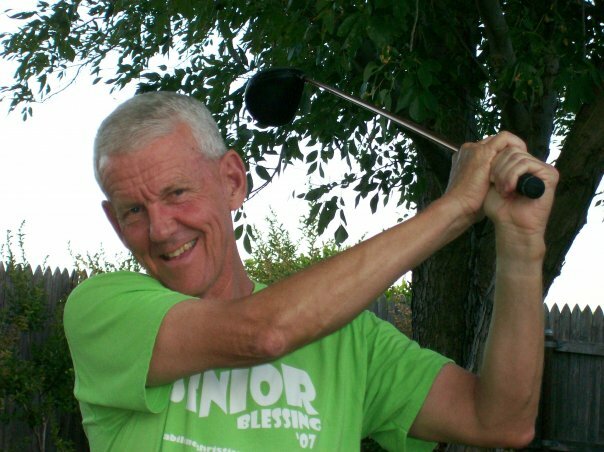 I like to play golf, sing on the praise team at Highland, and I serve on two nonprofit boards. Do you have a good story from your early career in teaching? When I was at Indiana, I was diagnosed with cancer and underwent surgery as part of the treatment. This was right before my third year of teaching. I remember how much that life event changed my perspective. During the process of recovery and going through radiation, being able to teach was a bright spot that provided a lot of joy during that time. I published some papers in journals and I’m very proud of those accomplishments. I don’t believe that most people understand how much time is involved in that process. There is a paper published a couple of years ago, that I worked on for about 15 years. This was a test of perseverance more than anything else, however, it was a great accomplishment. I have also enjoyed consulting over the years. I wrote the business plan for one of the nonprofits that I serve and I have enjoyed seeing how far they have come. I am proud of the recent ABET accreditation of the School of IT & Computing and in my work with curriculum revision, for the business core and now, in the creation of the MBA curriculum. Dr. Don Jackson, who taught economics, was a charismatic and enjoyable professor. He served as Deputy Director for Administration, Programs, and Resources at the National Security Agency (NSA) in the 1970’s and 1980’s. He often used the phrase, “I could tell you more, but I’d have to kill you.” Also as I mentioned before, Jack Griggs’ influence was definitely pivotal in my college experience and in my life. I would like to have the ability to slow down time. Right out of college, I was on a church planting team in Washington, D.C. and I also proposed to my wife on the summit of a mountain in Salzburg, Austria because her favorite movie is The Sound of Music. I would actually like for students to know that God creates each of us with purpose. I like to talk to students about how to find meaning in what you’re doing. For some, desire for meaning and faith may mean changing careers or going into ministry. For most of us, it means learning how to honor God in our daily lives. Having been involved in church planting, I believe it is easy to move across the country and say that you want to follow God. However, it is hard to actually live on a day-to-day basis in that way. More of following God, is in the process of making the small choices to serve him daily.